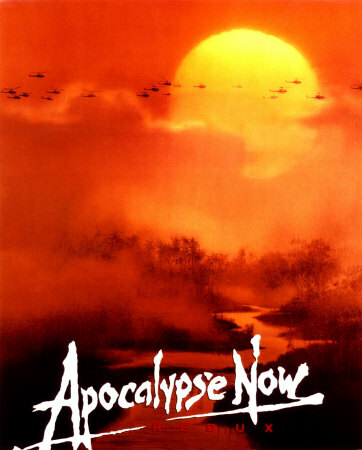 Home > Economic Update	> Apocalypse Now? Global stocks and commodities tumbled Thursday amid a string of disappointing economic reports and fears of meltdown in Europe’s banking system. “The rapidly burning fuse is in the European banking system, particularly in France, and Europe is getting very close to yet another tipping point,” PIMCO‘s Mohamed El-Erian writes in The Financial Times, which separately reports executives of BNP Paribas plan to tour the Middle East in an effort to raise capital this week. Amid acute concern over French banks, the CAC 40 plummeted more-than 5% intraday in Paris Thursday before stabilizing a bit. Major bourses across Europe were down more-than 4.5% in recent trading and the price of credit default swaps on European corporate and sovereign debts were surging; the price of default insurance on German and French sovereign debt hit record levels, Bloomberg reports. In addition to fears of a European banking crisis, global markets were hammered by weaker than expected manufacturing data in Europe — which showed contraction for the first time in 26 months — and China, as well as a rise in U.S. jobless claims. “A recession is at this point unavoidable,” writes NYU Professor Nouriel Roubini. “Only issue now: Will it be a mild G7 recession or a severe recession plus global financial crisis as bad or even worse than the 2008-09 one. As Henry and I discuss the surprising thing is that anyone is surprised this is happening. The Greek debt crisis has been long in the making and European policymakers have had more-than ample opportunity to address the resulting problems among EU banks. There are reasonable solutions to address the crisis, including the so-called “Swedish Solution” where banks are forced to take major write-downs before getting a capital injection. Alternative, Europe could adopt a TARP-style program to provide a capital cushion for banks ahead of an inevitable Greek default. Neither program is perfect but either beats doing nothing, which appears to be the plan in Europe right now. On the other side of the Atlantic, some traders are apparently disappointed with Ben Bernanke‘s Fed for not doing more yesterday. But there are limits to what monetary policy can do, as former Fed governor Mark Olson explains. Plus, Bernanke would be pilloried if the Fed had launched a $1 trillion QE3 program or some other outsized plan this week. From where I’m sitting, Bernanke gets an “A” for effort and looks good compared with our dysfunctional Congress and, especially, Europe’s disastrous policymakers.